What does it mean to be a board certified music therapist? Hello Easter Seals Family! I thought I’d share some information about becoming a board certified music therapist. The first step in becoming a music therapist is to attend an AMTA (american music therapy association) approved school. During a students music therapy education, the student acquires 200 fieldwork hours and 1000 hours of an internship. The program is organized so that the future music therapist gets experience in many different populations. I had fieldwork at HMS school for children with cerebral palsy, Caring Heart Rehabilitation, Germantown Recovery community, and Hear Our Voices (a grant funded songwriting program for at risk youth) and I did my internship at Belmont Center for Comprehensive Treatment. A strong education in music is also needed to become a music therapist. Music therapists are trained to work in a variety ways, improvising music, writing music, re creating pre-composed music, and many variations of this. A strong understanding of psychology and music is important, and learning how these two components work together. First and foremost the person must be interested in working with people, and must be able to relate well to others. A music therapist must be sensitive to their surroundings, able to take in everything that is happening, while still being able to stay present in leading the music. After completing the 1000 hour internship the student is eligible to take the board certification test, which includes questions about the implementation and implications of music therapy. Once the music therapist passes the exam, they are nationally certified to practice music therapy. the MT-BC program of the certification board for music therapists is fully accredited by the National Commission for Certifying Agencies (NCCA) The test is reviewed and updated to keep up the advances in the field of music therapy. To maintain the MT-BC, the music therapist is required to either re take the exam every 5 years, or participate in trainings called CMTEs. requiring the therapist to re-certify helps the therapist stay up to date with current practices. Why is it important to be board certified? It is important for there to be a national standard for music therapists, so that we can be represented well as a field. Having a board certification helps our field become more widely recognized to companies and possible employers. A certification makes services more available to clients because other therapists and doctors can refer their clients to the music therapist. The certification allows music therapy to be covered in school-based services or by insurance. I hope this has been informative! If you have any questions about music therapy feel free to contact me, gclements@easterseals-sepa.org. This entry was posted in Uncategorized and tagged board certified music therapist, Early Intervention, Easter Seals, Easter Seals of Southeastern PA, MT-BC, music therapist, Music therapy on September 25, 2014 by Easterseals. 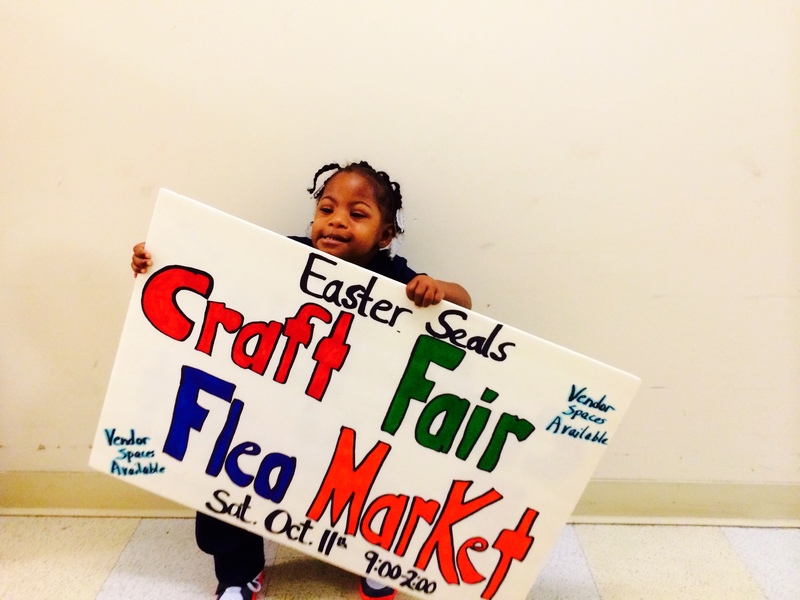 So the big buzz going around Philadelphia is the Easter Seals Fall Craft Fair and Flea Market! All of the staff and families are prepping and planning for the exciting event. 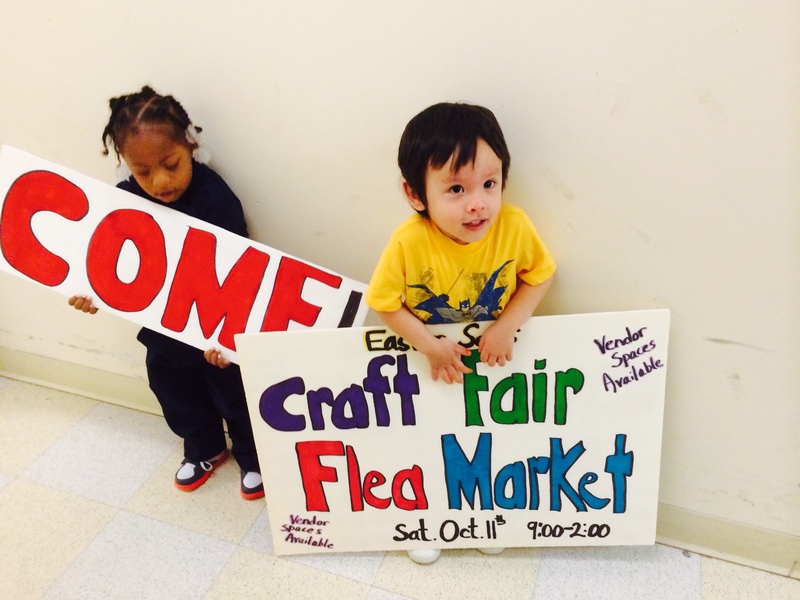 We still have some vendor spaces available for people to sell their crafts and/or their treasures. Spaces are only $25. What a great opportunity to find unique gifts for the up-coming holidays as well as supporting Easter Seals programs for children with disabilities throughout southeastern Pennsylvania. There will be something for everyone!!! SEPTA Routes 38/40. Call (267) 292-6100 for more information. Looking for a sign to tell you whether or not to go? How about this? 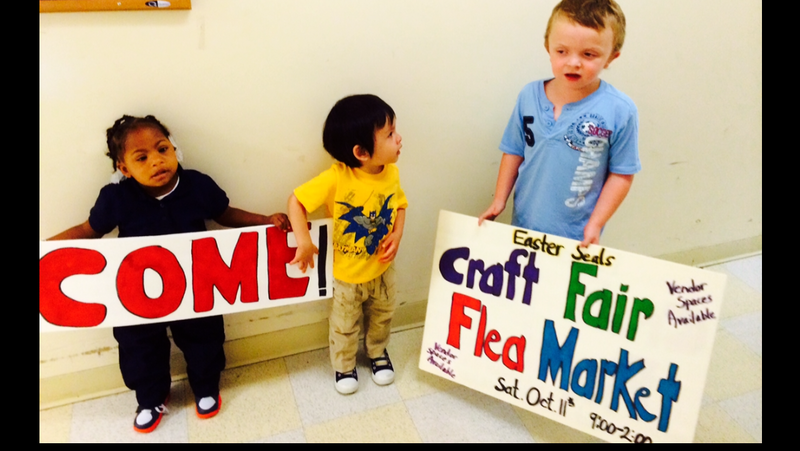 This entry was posted in General info and tagged craft fair, Early Intervention, Easter Seals on September 17, 2014 by Easterseals. It was rainy day when the 200 volunteers came out to build a playground. The work was hard, but worth it, when considering the outcome. The children we serve would have access to a playground that could meet just not the basic need for play, but also their therapeutic needs. And it turns out, the playground is just as amazing as we hoped it would be! There were smiles and squeals of delight. There was play and brilliant therapists who seamlessly incorporated therapeutic activities into that play. And thanks to Century 21 Alliance, KaBOOM! and the many other donors and volunteers, there is an infinite number of opportunities of play and learning, just like the ones we captured in these pictures. This entry was posted in child stories and tagged Bucks Playground, century 21 alliance, Easter Seals, Easter Seals of Southeastern PA, KaBOOM, therapeutic play on September 11, 2014 by Easterseals. Going to the dentist or going to get a haircut can be a very difficult activity for many young children, especially those with a diagnosis of Autism. I recently found out about a few Dental places that are knowledgeable and sensitive to the needs of young children. One of their dental staff recently came to our program and did a short presentation/activity for our preschool early intervention students. He will make house calls for haircuts within 20 miles of Broomall, PA 19008. A social story including a picture of Stephen will be sent prior to the scheduled visit. This entry was posted in Uncategorized on September 3, 2014 by Easterseals.